These open flags for stores include everything you need to create an eye-catching outdoor advertising display. 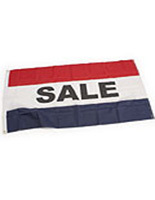 The advertising flags, open flags feature the following items: (1) 3' x 5' nylon message flag, (1) 5' aluminum flagpole and (1) mounting bracket. We even provide the open flags with an adjustable bracket, giving you the ability to change the angle of your displayed flags. The bracket's angle ranges from 0° to 90°! 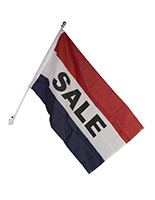 Open flags, such as advertising flags, give you the effectiveness of outdoor custom flags without the cost or wait time! 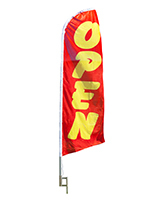 Open flags are used to communicate with customers when your business is available. 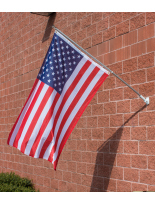 These message flags, open flags utilize the standard red, white and blue design so customers are familiar with its message and intent. Open flags, also known as advertising flags, feature the word "open," written in black lettering across the middle of a flag. 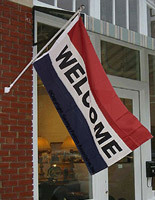 These open flags are made from nylon, therefore making them durable and weather-resistant! 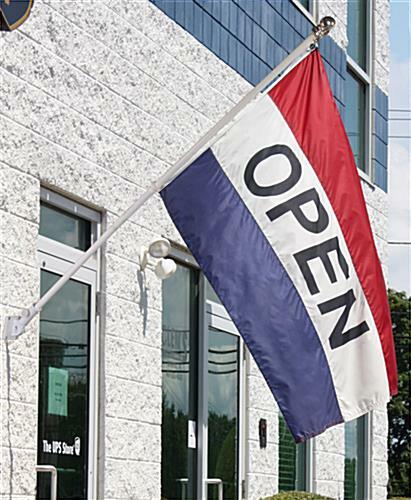 Two brass grommets allow for these open for business flags to securely attach to the provided aluminum pole. 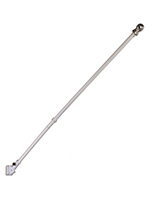 We even provide the open flags with a 1/4" diameter washer to reinforce a flag's connection.